Screeching Weasel is an American punk band from Chicago, Illinois. They were formed in 1986 by Ben Weasel (aka Ben Foster who also used to be a columnist for the punk fanzine Maximum Rocknroll) and John Jughead (aka John Pierson). 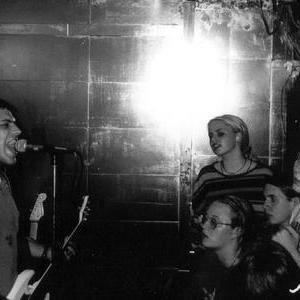 The band gained prominence in the early 1990s after signing to East Bay punk label, Lookout! Records and are cited to be a major influence over many bands playing that style of punk music. Through the years, the band went through many line-up changes, with Ben and John being the only constant members since the band's inception. Screeching Weasel officially broke up for (roughly) the third - and allegedly final - time on July 6, 2001. The band did a few surprise shows between 2001-2009. Ben Weasel reformed the group in March 2009 with a new line-up, and without John Jughead. Ben had released solo albums that were the same just in his name. John finally settled for T-Shirt money for being an original member of the band and a royalties for a handful songs he co-wrote, and let Ben play as Screeching Weasel with the hundreds of song lyrics and music has written. Members of Screeching Weasel have gone on to form bands such as: The Methadones, The Mopes, Even In Blackouts, and Sweet Black And Blue. Screeching Weasel has also included members of Green Day, Sludgeworth, Common Rider, Squirtgun, and Teen Idols. During one of the band's many break-ups, Weasel and Vapid also formed the Riverdales. Additionally, Ben Weasel released a solo record in 2002 entitled Fidatevi. In 2004 Ben Weasel rescinded all of the Screeching Weasel and Riverdales masters from Lookout! Records in the wake of long-running financial and personal conflicts. The masters were subsequently licensed to and reissued by Asian Man Records. On December 7, 2010, it was announced that Screeching Weasel will release a new album on March 15, 2011, the band's first album in eleven years. The album will be titled First World Manifesto and will be released on Fat Wreck Chords. It will contain 14 new songs and is produced by Mike Kennerty of The All-American Rejects. It was announced that the label will also be releasing the back catalogs of Screeching Weasel, the Riverdales, and Ben Weasel. On March 18, 2011, during Screeching Weasel's South by Southwest Festival performance at the Scoot Inn in Austin, Texas, Foster reached from the stage and slapped a female audience member who had spit on him several times. This sent off a fire storm web frenzy from all of the self -righteous non Screeching Weasel fans. Ben apologized for his actions, but all of the perfect people who never loose there cool were not satisfied. Ben and his hired band had a falling out. He found out who his true friends and fans were. After over a year of spending time with his family and raising a new baby, he released Carnival of Schadenfreude EP in 2011 with huge interest and has resumed his music career again full swing.